amixon®, Paderborn, Germany, has developed a single-shaft mixing system with comparatively small dimensions. 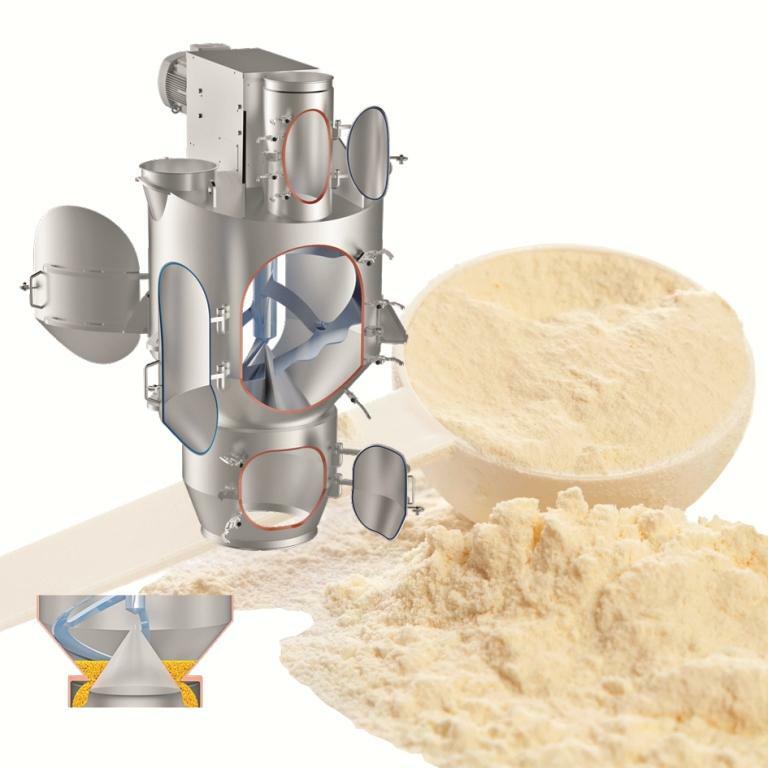 This precision mixer is characterised by particularly short mixing and discharging times. It is thus capable of processing large product quantities in a short cycle time. Ideal mixing qualities and excellent particle protection are achieved in a new way. The mixing container consists of a silo-like container in the centre of which a large cone is inserted at the bottom. It has a smooth, streamlined design and supports the flow process of the mixtures. Helical mixing tools convey the goods upwards in a spiral-like motion. This process takes place along the wall of the container. Having arrived at the top, the ingredients slide downwards and are directed to the outside once again by the cone. The homogenisation process takes place in the marginal area between the upward screw action and the downward movement. This process is gentle and effective. After approximately 20 to 30 revolutions an ideal mixing quality is obtained that cannot be further improved in practice. The displacer then lowers itself by a few centimetres, so that emptying takes place within seconds without segregation. The mixer discharges up to 100%.